We've got some tasty deals to help you celebrate 3/14/15! You didn't think we had forgotten about Pi Day did you? What's Pi Day, you ask? Well, on March 14th (A.K.A. 3-14) it's the day we celebrate mathematics, science and all things geeky. Really, it's just a nice excuse to get really nerdy for a day -- and we love it! 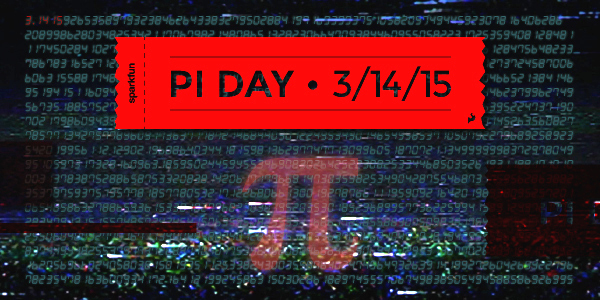 This year's Pi Day is particularly special because it goes six decimals deep (3/14/15). To celebrate, we're putting a bunch of awesome Raspberry Pi gear on deep sale! The discounts will be announced at 12:01 a.m. MT on 3/14/15 - but, until then, let's just say they are significant (and not in, like, a significant digits sort of way). The sale starts at 12:01 a.m. MT on Saturday, 3/14/15 and lasts until 11:59 p.m. MT on Monday, 3/16/2015. No backorders are allowed and all items are on sale while supplies last. So what products are we gonna be rocking? First, the star of the show is the Raspberry Pi Model B. 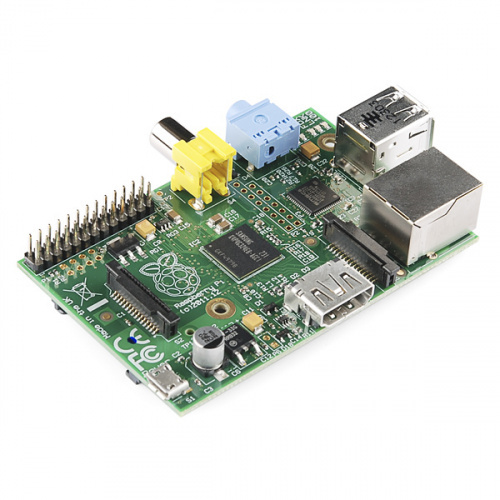 The Raspberry Pi Model B is an incredible and capable computing platform. It features two built-in USB ports, HDMI, an ethernet port, 512MB of RAM, and a 700 MHz ARM processor. It packs enough power to run Linux, play HD video and so much more. And for three days only, we're selling it at the lowest price we've ever offered. These are gonna go fast - so grab one while you can. At this price, you can easily embed this in your next design. Finally, these last products are not on sale, but are must-haves to complete your Raspberry Pi. There you have it! We hope you have a fantastic Pi Day and you use your new Pi to build something amazing! Cheers! If not, there should be. Even Arduino has its own day. So, the next pi-day does not come for 100 years?